This opinion piece, submitted by the Higher Education Council of San Antonio regarding recents events on campuses across the city, appeared in today's edition of the San Antonio Express-News. (Dec. 14, 2017) -- American colleges and universities have always embraced diverse points of view, leading to a multitude of new discoveries and cultural understanding. Higher education is a phenomenal place for minds to be challenged, to inquire, explore, discover and question the status quo. But from time to time, American colleges and universities are subject to witness hate speech or activity that is disguised as free speech. Such has been the case in recent weeks at several colleges and universities in San Antonio and throughout Texas. 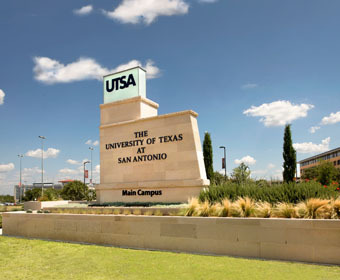 As members of the Higher Education Council of San Antonio (HECSA), we – the presidents of colleges and universities throughout this community and supporters – feel that it is important for us to speak out and make a distinction between diversity of thought and disingenuous misrepresentation of free speech. We further attest that hate speech has no place at our colleges and universities. Inappropriate messages, banners and flyers that are meant to provoke, spread hate, or create animosity and hostility, are not welcome or accepted. Teaching, research, and critical thinking are the founding pillars of higher education. Each and every day, we witness incredible learning opportunities for our students, faculty, staff and community members. San Antonio’s colleges and universities are stronger and more diverse than ever before. During the upcoming tricentennial, there are many events, activities and symposiums being planned at our colleges to honor the city’s multicultural heritage, as well as current and future residents. San Antonio colleges and universities have played an enormous part in the city’s history. We are proud to have been a part of this great accomplishment and will further ensure that it continues to be our focus in the next 300 years. Please join us in celebrating the power of higher education in the lives of San Antonio residents!